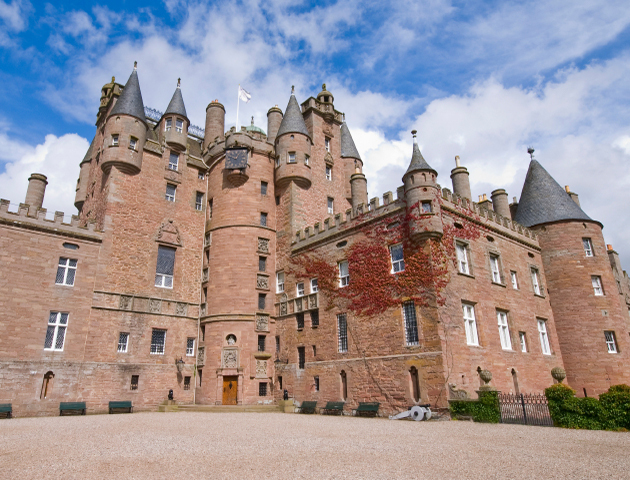 Paranormal investigators have been researching the ghosts of the castle since 1992 and are still unable to explain some of its extremely odd occurrences. Tales of a white lady and a spectral woman in black gliding through the corridors have been reported. And there’s also the most famous ghost there, Tom Fool. Said to be the last court jester in England, he tends to haunt the tapestry room muttering at visitors and trotting across bedrooms, startling sleeping guests. 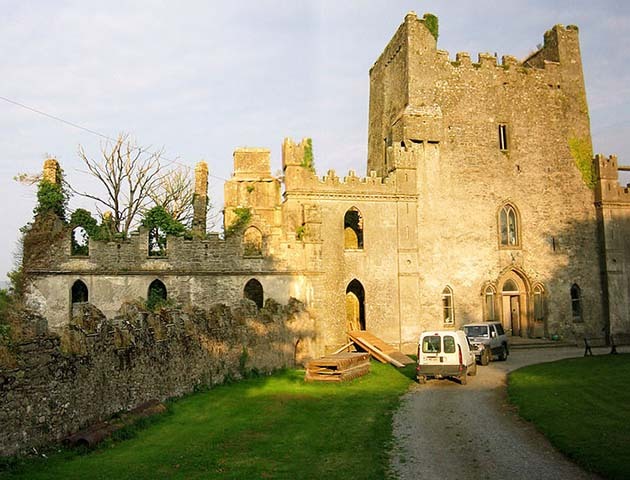 Built in 800 AD by the O’Bannon family, battles raged here for hundreds of years culminating in a massacre at a banquet held by the then owner Teige O’Carroll. He invited a branch of his clan to dinner to celebrate his succession to head of the family – and he killed the lot of ‘em! In 1909, a séance was held where a dark force arrived that was the size of a sheep with decomposed black eyes that smelt like a rotting corpse! After a fire in 1922, workmen found an oubliette, a very small dungeon, where unfortunate prisoners were either impaled by a spike on the floor or died of starvation. Three cartloads of human bones were removed. Over the next 70 years it remained derelict, to mortal beings that is! Hundreds of flickering candles have been seen in the Bloody Chapel and a woman in a long red gown has been spotted on the ruins. Since the 1970s, it has been restored to a family home but the ghostly occupants haven’t left. Witnesses speak of two young spectral girls playing near the stairs, a priest’s ghost in the chapel and the spirit of an old man and his dog relaxing by the fire. On the same spot for 800 years, Chillingham Castle was once the first line of defence against the marauding Scots across the border! A hideous dungeon boasts yet another oubliette where unfortunate Scottish prisoners had their arms and legs broken, before being thrown down, to a torture chamber. So it’s no joke to say the place is full of tortured souls! John Sage, the chief torturer, wanders the castle dragging something behind him. The great hall with its stuffed elephant’s head has strange cold spots and odd noises emminating from nowhere. Beware when visiting the minstrels gallery. People have been pushed down the stairs here by invisible hands! 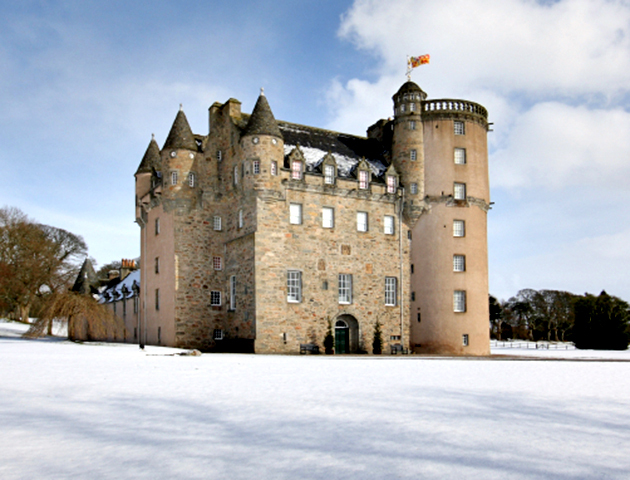 The gothic castle was commissioned in 1830 and was home to the Talbot family. 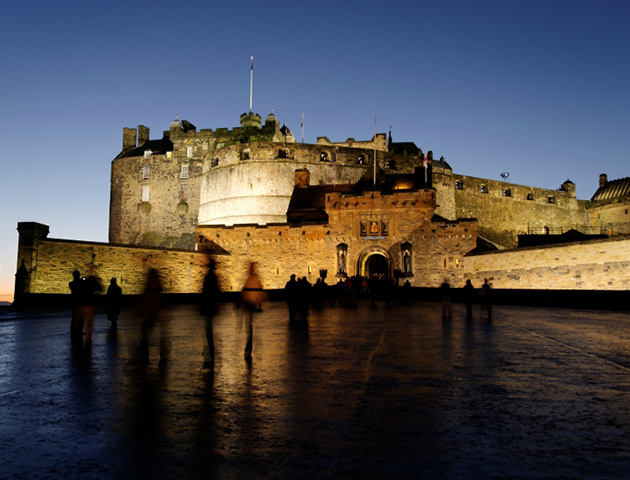 After the Second World War, it fell into disrepair, but the council took it over and now it’s well worth a spooky visit! The spirit of Robert Scott, a murdered gamekeeper, wanders the grounds and ascends the stairs leading to the castle. Psychic investigators have said he is still unhappy about being killed to this day! The sound of giggling children has been heard in the long corridors and they’ve even been seen wandering in and out of doors. There’s also a blacksmith who trots round the grounds startling gamekeepers, and running footsteps are heard with no living intruder present. Built on a Roman fort, it’s been there since the 12th century. From being a key military site for English kings over the years to a prisoner of war camp in the Napoleonic Wars, it’s not surprising the grounds are home to many ghostly occupants. The black monk is often seen in and out of the castle walls and disappears into the distance when spotted. The spectral horseman charges towards terrified visitors and has also been recorded on tape galloping through the grounds… Oh, and there’s a ghostly Roman centurion who often guards the outer gates of the castle, attenshun! 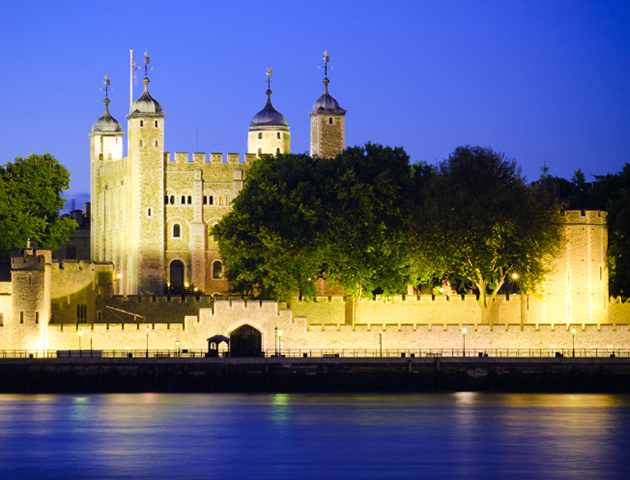 The oldest fortress, palace and prison of its type anywhere in Europe, The Tower of London is one of the most haunted castles in Britain. The first ghost reported was Thomas A. Beckett who smashed down a wall to show his displeasure at the construction! Two of Henry VIII’s wives haunt the tower – Lady Jane Grey appears on the date of her death, the 12 February, and Anne Boleyn who haunts the White Tower carrying her head. One of the most gruesome stories is the execution of Lady Salisbury in 1541. Refusing to place her head on the block to face her final blow, she ran away screaming. Unfortunately she was pursued by the executioner and was hacked to death on Tower Green where a ghostly re-enactment is played out to this day. The salt tower is also a spot where dogs refuse to enter and even Yeoman Warders don’t attempt to after dark after one warder was throttled by an unseen force. And keep your eye out for Sir Walter Rayleigh’s ghost who likes a stroll around the Byward Tower now and again!